Lensel Academy is your ideal coaching destination if you are looking forward to enrolling in a placement-focused Oracle Apps Training in Kolkata soon. Our hands-on Oracle Apps Training sessions will help you address the pain points in everyday business processes and drive them towards betterment and excellence. 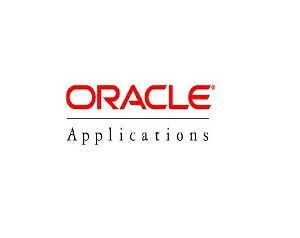 Oracle Apps is the numero uno whenever it comes to application platforms for enterprise business. This standards-based platform is a powerful tool that enables smart portfolio management, human capital management, enterprise resource planning, asset lifecycle management, customer relationship management, and more. It further provides lifetime support policy which makes the platform easy and flexible. For those dealing with IT strategies in businesses, learning Oracle Apps is vital and can be a career-booster. At Lensel Academy, we deliver lessons that cover the basic as well as advanced levels or the course and help students come out competent. Our training objective is absolutely placement-oriented. We aim at training candidates on the different aspects of Oracle Apps, including ERP Products, File Systems, E-Business Suite, Nodes, API, Flex Fields, Forms, Asset Management, Application Framework, Concurrent Process, and more. We realise the need of thorough understanding of business processes to teach Oracle application modules effectively. This is why we have employed expert trainers and instructors who are Oracle Application certified and possess a wealth of knowledge about working on real-time projects. The course syllabus has been so designed that student requirements are met to the utmost and career goals are achieved. We have readied the latest training materials which are delivered by experts in interactive sessions. Get ready to experience a stress-free learning environment with full technical support to answer your queries anytime. Come enroll with Lensel Academy. Hone your skills and fast track your career ahead. ERP Overview, Business Need, Oracle ERP, Modules of an Oracle ERP, How ERP works, Scope of ERP, Career Track, Benefits of ERP. Sub Ledgers – Integration, Shared Entities and Integration, Describe R12 E-Business Suite architecture, End to End Business Process, Oracle Standard Process. Navigating in R12 Oracle Applications, Glossary – Related Business Terminology Fundamentals of Flexfields, Fundamentals of Multi-Org, Oracle General Ledger Process. Advanced Security, Multi-Currency, Perform Revaluation of foreign currency balances, Translate functional balances into foreign currency, Financial Reporting (Basic Reports, FSG features, Web ADI. Financial Reporting, Accounting Setups, Advanced Journal Entries, Consolidations, Summary Accounts, Overview on Financial Budgeting and Period end close. Sample Process Analysis Questions, Business Case Study, Month End Close activities, Walk through GL Training Manual. Oracle E-Business Suite System Administrative Responsibilities, Functional Administrator and Functional Developer Responsibility, Successive Layers of Access Control, Function Security, Data Security, Role Based Access Control (RBAC), Delegated Administration, Simplified User Management, Function Security, Users, Custom Applications, Menus, Responsibilities, Functions, Concurrent Programs and Requests, Administering Concurrent Managers. Lensel Academy is an ISO 9001:2008 certified institute. We are Oracle Gold Partners. Our courses are placement-focused, always. We have a faculty of experienced Oracle experts on board. The course content has been specified to meet industry standards. We facilitate live project execution to up skill candidates. Wish to build a career in Oracle Apps? Take up a course at LENSEL Academy today. Contact us to know more.